GO Energy provides an easily digestible and quick supply of carbohydrate for energy. Designed to be versatile, this product can be mixed at various concentrations to suit your needs. GO Energy can be consumed as part of your carbohydrate loading strategy in the days and hours prior to your training or race, with 48 grams of carbohydrate per serving. As part of your carbohydrate loading strategy, consume up to 4 servings per day with or between meals to help achieve elevated carbohydrate intake. SiS GO Energy can also be consumed with SiS GO Energy bars to further boost carbohydrate intake. To provide both optimal energy and hydration during exercise, SiS GO Electrolyte is superior to SiS GO Energy. For easy mixing use SiS sports drinks bottles which have markers to indicate the correct level of powder. Or, add 50g of SiS GO Energy (approx. 3 full scoops) to 500ml of water in a bottle & shake well ensuring the lid is firmly closed. Carbohydrate loading strategies involve an increase in the amount of carbohydrate an athlete consumes in the days leading up to an event in order to increase the store of muscle glycogen. A major cause of fatigue in endurance exercise is depletion of carbohydrate energy stores. 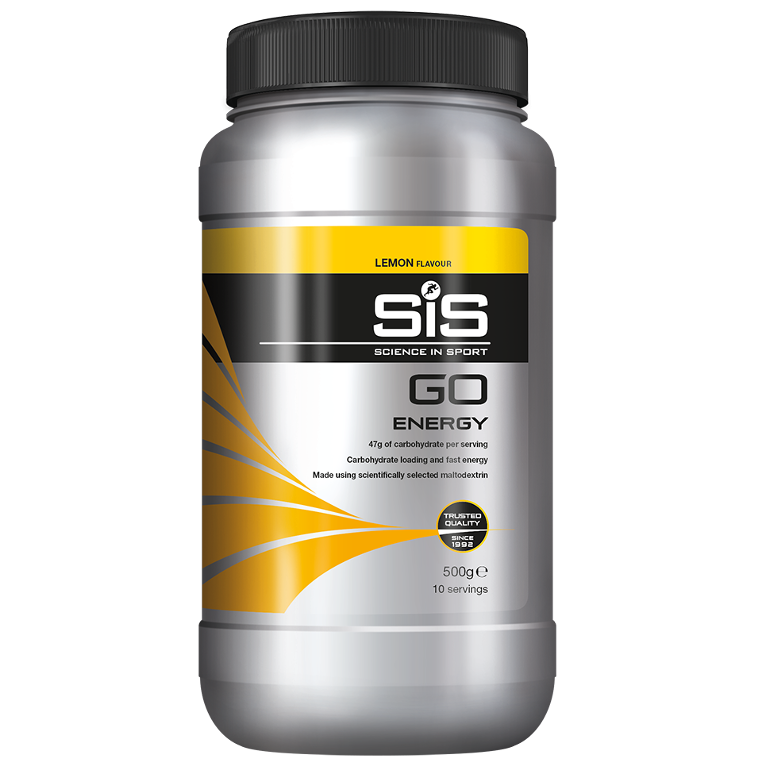 SiS GO Energy provides a practical solution to increase carbohydrate intake to boost our muscle glycogen stores prior to training or competition. Carbohydrate mix (96%) (Maltodextrin (produced from partial hydrolyses of a special variety of Maize), Fructose), Natural Flavouring, Citric Acid, Sweetener (Aspartame). Contains a source of Phenylalanine. 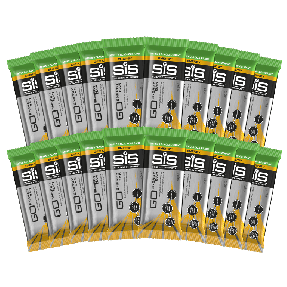 We recommend that SiS GO Energy is used for carbohydrate loading in the run up to and/or during high intensity endurance exercise for fast energy. Do I need to preserve this once open? Does it go off? Can I mix this with SiS GO Electrolyte to get all the benefits? No, this would increase the carbohydrate concentration and may not sit well in your stomach. SIS GO Energy is designed specifically to meet your energy demands. 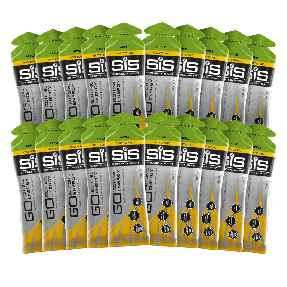 To hit both energy and hydration goals, use SiS GO Electrolyte. 3 scoops of SiS GO Electrolyte will mix well in your 750ml SiS bottle. Perfect energy pre and pos workout. Great product. Nice strong taste, feels refreshing during rides. Very good taste. The best taste i ever had. For me the most i drink in Orange flavour. Nice product easy to digest, i prefer to have a quite a neutral flavoured drink so theres no strong after taste.